Sizes offered: 0g, 00g/10mm, 1/2", 9/16", 5/8"
Framed with a floral pattern, these plugs have a center inlay that has floating silver flakes. This design is available in 0g through 5/8". 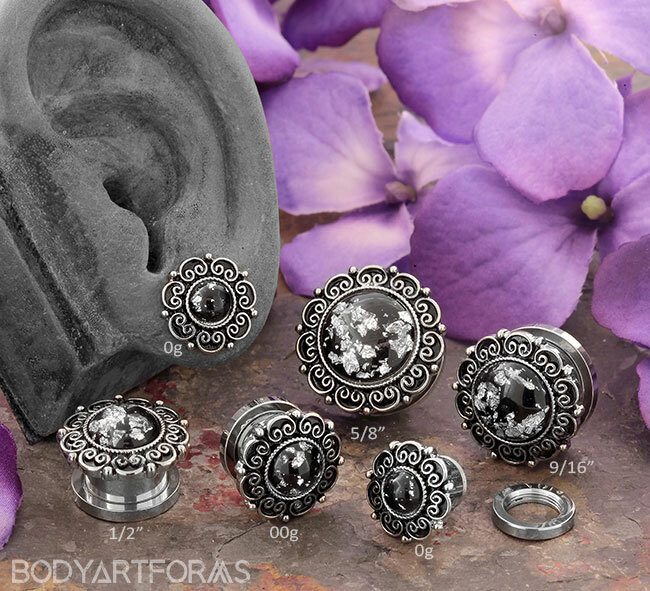 These silver flake floral plugs are made with a steel eyelet and a front floral design that is created using plated base metal. The center silver flake inlay is silver foil that is coated in resin. The overall length measures 1/2"